Learn more about the custom metal stamping services Dickmann Manufacturing Company in Milwaukee, WI provides. Have a question about our metal stamping services? Starting a project from scratch? Need more information about our metal fabrication and stamping services? Get in touch with our engineering team to help answer your questions. Talk to an experienced engineer and get an estimate of how much your project will cost. At Dickmann Manufacturing Company, we've been a leader in high quality, precision metal stamping for over 50 years. We have the dedication and experience to conduct bulk, contract, custom, and production operations for a diverse range of customers. We operate 20 punch presses ranging from 24 to 300-ton capacities. Our units feature a 106" press stroke with bed sizes as large as 106" x 48". We can stamp finished parts as long as 48" and run coils up to 30" in width; accommodating plate thicknesses from 28 gauge to 10 gauge. With our three 33 ton, dual auto-index, CNC turret presses, we can work with stainless steel up to 12 gauge and other materials up to 10 gauge. Our CNC turret presses are capable of punch diameters as large as 6". Each unit offers a 50" x 50" table that can be repositioned. 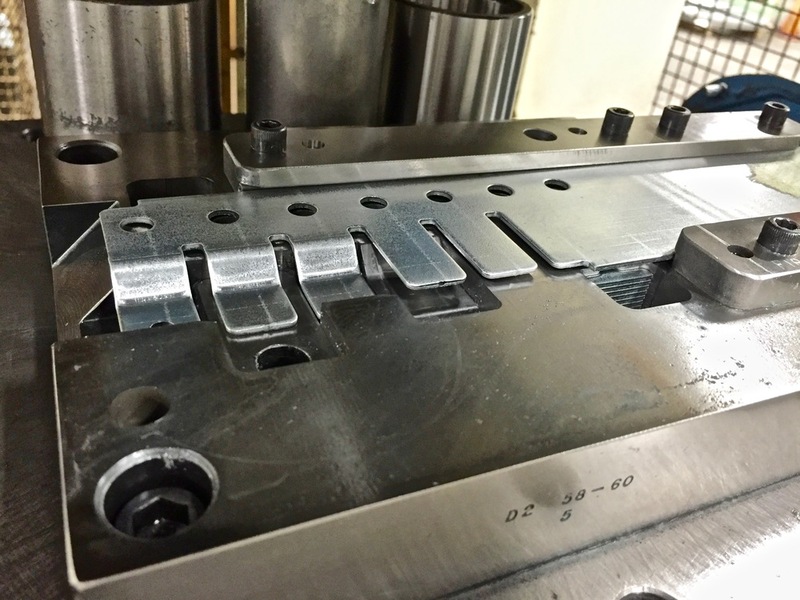 Our facility is equipped for coining, forming, compound die, shallow draw, punching, notching, progressive die, and a number of other services. We've stamped popular metals including various types of alloys, aluminum galvanized steel, carbon steel, stainless steel, HSLA, and many more. We can gear our manufacturing operations for prototyping, low or high volume production runs; supporting either single units or blanket orders. From base assemblies to simple washers, we've stamped parts for appliances, housings, electrical boxes, fixtures, furniture, and other widely used consumer and industrial products. To help streamline the customer's operational needs, we can provide value added services such as anodizing, heat treating, powder coating, painting, welding, riveting, and machining. We're proud to serve industries across the world including agriculture, food, electrical, construction, plumbing, and consumer goods. Our methods and procedures always focus on quality first and we continuously seek to improve our production efficiency. As a result, we'll always ensure that our work conforms to standards by ANSI, ASME, ASTM, and RoHS. To learn more about our stamping capabilities, please contact us directly.